One of the things that I wished I had known when I started out in business is the importance of a contact list… nowerdays an e-mail list. 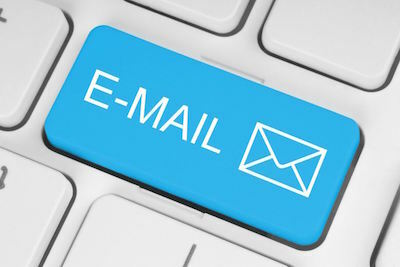 An e-mail list is essentially a list of e-mail addresses that you can then use to keep in contact. The power of a list of people who are interested in or currently use your services can have much broader uses than just dropping them a newsletter every now and then! In this article I am going to run through some of the key considerations when setting up an e-mail list. Growing your list is an essential aspect of list building, by constantly seeking opportunities to add to your list you are effectively widening your net of people you can market to. When considering list building you should consider both on-line and off-line methods. On-line, it is important that there are various links to your sign up page. You may even have different sign up pages for different groups of people. One of the things that will help you gather e-mail addresses is the use of ‘bait’. This is essentially an offer along the lines of ‘if you give me your e-mail address, I will send you x’. The idea is that the offer you make is well worth the giving up of your e-mail address. Things that have worked well for me have included any kind of exercise plan/programme, diet plans/guides, top tips for x, really you want something that is going to appeal directly to the demographic that you are targeting. This can also be added to by collecting e-mail addresses as part of any off-line marketing that you may do. If you attend any events or meet people it is always worth getting hold of their e-mail address and with permission you can add them manually to your list. They should be given the chance to opt in once added, but if you have this on the top of any data collection forms it will not be a surprise to a client or lead. Once you have decided to get a list set up, it is vital that you think about the different segments that individuals may be part of. This will help you target your correspondence effectively to the groups that may find it interesting. I have opted out of lists when I regularly get information that is not of interest or applicable to me. I have even done this if some of the time the information is great, so make sure those mail out really apply to your target market. One of the easiest ways to manage your e-mail list is with the use of software. There are a number of different packages out there that do this task. These systems can help you collect, segment and e-mail your list. The package that I use and recommend is Aweber, it is a powerful but straight forward bit of software at an affordable price. Once you have built a list it is vital that you regularly stay in contact with your subscribers. It is not good enough to send out a newsletter once every blue moon, regular contact will help with the building of an effective relationship. If you have managed your list well you will have it segmented down into different sections that will allow you to tailor content to their specific interests. For example I send a slightly different newsletter to existing clients as I do to potential leads. The key difference being the offers that I am placing in front of them. For an existing client they would have little to no interest in a new starter package, but may be more interested in offers related to increased results from an increase in sessions done per week. Generating income from your list is an interesting point, as a person with an active list that is specifically aimed at the fitness market you now have a very interesting resource. You can not sell people data without permission, but you can start to drop in affiliate links to products that you recommend. One of the best ways I have used this previously is to send out my top 10 fitness gifts, all with links via my Amazon affiliate account. This means for any purchase that the subscriber makes after following my link I get a percentage. This is one of the simplest and most straightforward ways of monetising your list. As with anything there are legal considerations when handling peoples data. You should adhere to all data protection rules in the countries that your list is active in, in the UK this may include being registered with the data protection commissioner. It Is considered good practice for there to be a two stage opt in, this is where you fill in a web based form to ask to be added to a list and then an e-mail is sent to that address with an opt in link. This allows you as the data user to demonstrate that you have taken all steps to make sure that people are happy to receive your information. It is also good practice to have an unsubscribe link at the bottom of each e-mail so that it is easy for a subscriber to unsubscribe at any point. Overall keeping in regular contact with your leads and clients is an essential part of doing business. This is especially in the cases of leads who have not yet purchased, you want that when they are ready to commit to a personal training service that you are in the front of their mind. E-mail is such a cheap and easy way of communication and the list that you gather is yours… not owned by anybody else who can change the rules as they wish. This is a very powerful asset!